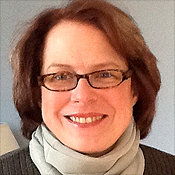 Karen R. Beaudouin, RN is a Program and Project Management strategist and a frequent speaker on project and portfolio management issues. Since 2009, she has served as the President of the CA Clarity Global User Community, a professional users group with an international membership of over 5,500. In addition, she is a PMO Program Manager at CareFirst, a member of the Blues Cross and Blue Shield Association. Her certifications include Project Management, Six Sigma Black Belt and ITIL v3. Summertime is usually down time for user communities. Here's what you can do to re-energize your participants.